THE nation is witnessing one of the most critical and great churnings in recent decades as the political community and the people engage in the election process. As political parties release their respective election manifestoes one by one, the voters get exposed to the different ways poll strategists evolve to woo them. No matter the details of individual lists of campaign promises the parties have made, the most significant issue that the situation has churned up pertains to national security in its totality and not in parts. In other words, when not just the external enemies but also some internal elements gnawing at the nation’s vitals, the issue of protecting the nation in a comprehensive manner assumes a great importance. Thankfully, the ruling Bharatiya Janata Party and its partners in the National Democratic Alliance (NDA) have chosen to focus their attention on this aspect. The idea here is not to talk just about the Pulwama terror strike and the subsequent developments on security front; it is to bring to fore the entire gamut of issues involved in national security, external and internal. The idea is to revisit the issue in its totality, which also includes a fine combination of defence and diplomacy. The idea is to tell the nation how certain elements are trying to raise doubts upon the integrity of the Defence Forces and the diplomatic process and that how important it is to disprove those elements so that they do not disturb the national security agenda. The current elections offer the nation a good opportunity to assert that agenda. Unfortunately, in the past five years, the Opposition never tried to understand the real issues as regards national security. It never understood the importance of giving expression to one unified national security aspiration. It kept raising doubts about everything the Government did to further the cause of national security. 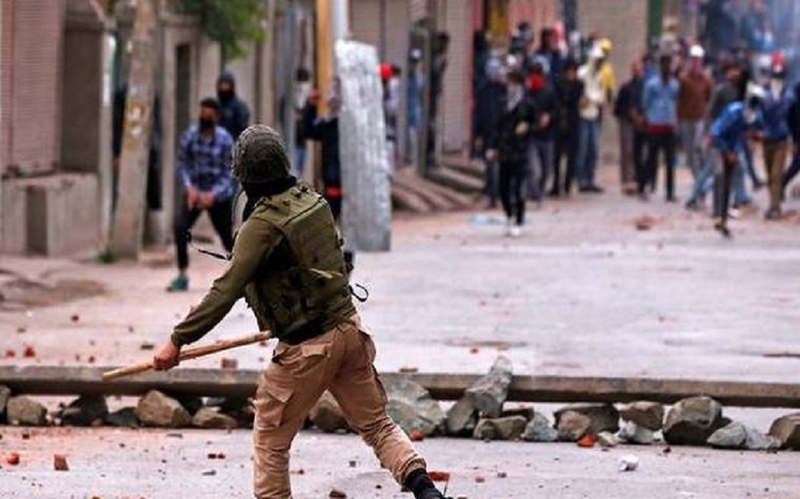 So blinded had the Opposition become due to its political motives that it did not mind blasting the security forces who opened fire on stone-pelting mobs of Kashmir in sheer self-defence. The Opposition also did not mind backing the Left Wing Extremism (LWE) that sought to wage a war against the lawfully elected Government of the constitutionally established State of India. The Opposition also backed those who raised anti-India and pro-Pakistan slogans in universities and even supported elements that talked about balkanising the country. And some leaders of Opposition parties even addressed international audiences trying to discredit the Prime Minister of India for his forthright stand on issues of national security. The current election will decide how to respond to the responsible campaign to promote a comprehensive national security idea and how to push aside the frivolous drive by the Opposition parties to discredit the security agenda. By any standard, the issue is critical to ultimate national interest and requires a serious consideration by the voters. They will have to decide how to defeat those who question the integrity of the Defence Forces or doubt whether our scientists really blasted a satellite 300 kilometers above the earth by a missile. These facets of security are critical to national interest, and the elections offer the people a chance to recommit itself to protecting and preserving the unity and integrity of the nation.